ABC News. Fri, 19 Apr 2019 17:12:58 -0400. BBC News. Fri, 19 Apr 2019 20:15:46 GMT. Yahoo. Fri, 19 Apr 2019 13:50:41 -0400. BBC News. Fri, 19 Apr 2019 17:34:32 GMT. France 24. Fri, 19 Apr 2019 16:44:33 GMT. May Bulman. The Independent. Fri, 19 Apr 2019 16:22:00 GMT. Reuters. Fri, 19 Apr 2019 10:33:48 -0400. Police have begun carrying activists away from one of the climate change protests blocking parts of central London. Sky News. Fri, 19 Apr 2019 12:24:00 +0100. Canadian Broadcasting Corporation. Fri, 19 Apr 2019 04:58:52 EDT. Sydney Morning Herald. Fri, 19 Apr 2019 17:37:29 +1000. New Zealand Herald. Fri, 19 Apr 2019 19:16:12 +1200. Danica Kirka. Washington Times. Fri, 19 Apr 2019 03:09:41 -0400. LONDON (AFP) - A woman has been shot dead during riots in the city of Londonderry in Northern Ireland and the killing is being treated as a terrorist incident, police said Friday (April 20). Straits Times. Fri, 19 Apr 2019 11:04:27 +0800. By Trevor Clawson, Contributor. Forbes. Thu, 18 Apr 2019 22:54:00 +0000. Merrit Kennedy. NPR. Thu, 18 Apr 2019 16:40:46 -0400. Fox News. Thu, 18 Apr 2019 14:43:17 GMT. Katie Collins. CNET. Thu, 18 Apr 2019 12:53:49 +0000. The Local. Thu, 18 Apr 2019 10:13:31 +0200. 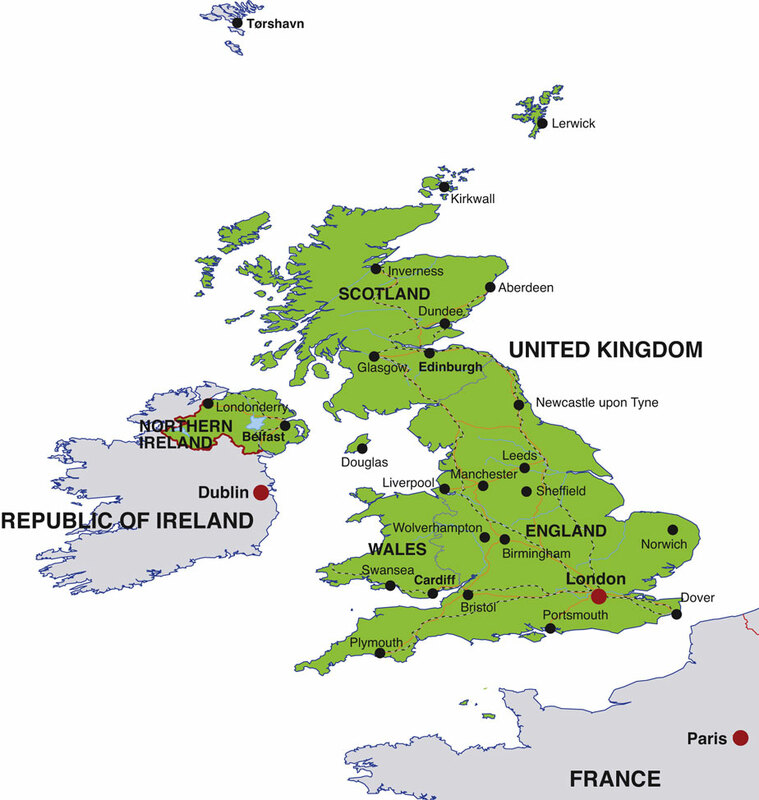 The United Kingdom of Great Britain and Northern Ireland is an island nation in western Europe, comprising England, Scotland, Wales, and Northern Ireland. Its capital city is London. The UK's national currency is the Pound Sterling. English is the primary language used in the UK, although Gaelic and Welsh are spoken by minorities. In 2007, the United Kingdom's estimated population was 60,776,000. For more news and information about the United Kingdom, visit the official UK government website. For detailed maps of the United Kingdom, visit this UK map website.